In a fast-paced metropolis where everyone’s in a mad rush, people in general don’t really care much about the past. With our technology evolving at a fairly rapid pace, we tend to focus on what’s new and trending. Every day, we browse our social media channels, hoping to find the latest trends and juiciest news on our favorite celebrities or smartphone brands. And, while there’s nothing wrong with keeping up with latest crazes, it’s still essential for us, to look back at the yesteryears, and admire the contributions of our forefathers. As they say, “the past is the key to our present and future”. 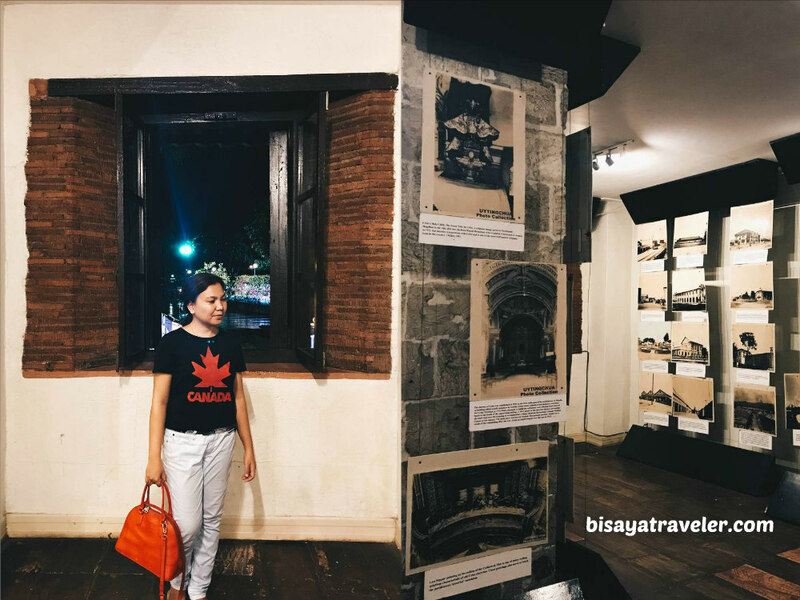 And, luckily for us, Cebuanos, our island has a plethora of museums and extraordinary annual events like Gabii Sa Kabilin that would give us a glimpse of the colorful and diverse heritage of Cebu. 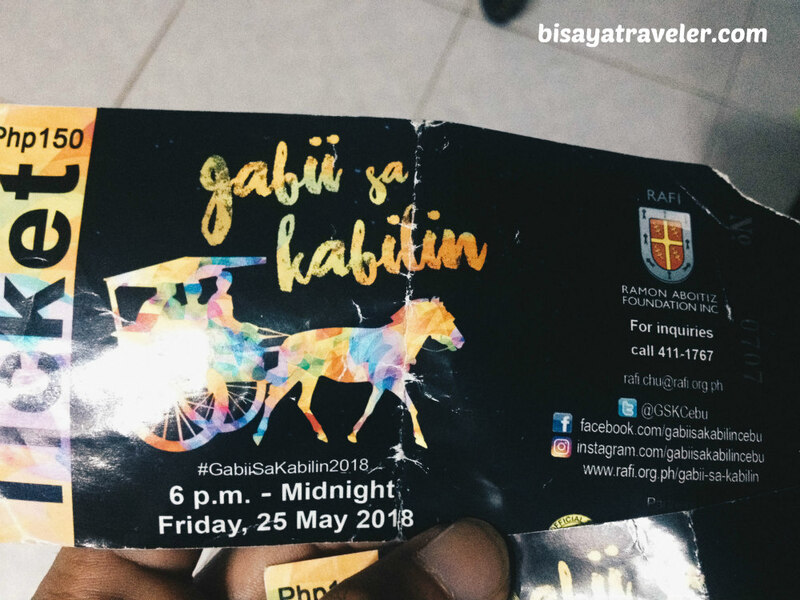 Speaking of Gabii Sa Kabilin, my wife and I did have a memorable experience, reliving the history and culture of Cebu in this year’s celebration. Not only did it give us a fun history crash course of Cebu, but it also rekindled beautiful memories of my childhood. As an added bonus, it gave me an opportunity to catch up with a few buddies whom I haven’t seen for ages. To top it all off, it showcased an array of lively cultural performances, from the typical Sinulog dance steps to fire dancing. In my opinion, it was far better than the scenes of a Gabii Sa Kabilin event in my dreams. Nostalgic and hypnotizing, our Gabii Sa Kabilin experience seemed to have all the hallmarks of a fantastic urban adventure. From elegant antiques and priceless relics to historic landmarks, it was truly jam-packed with photogenic vintage sights. 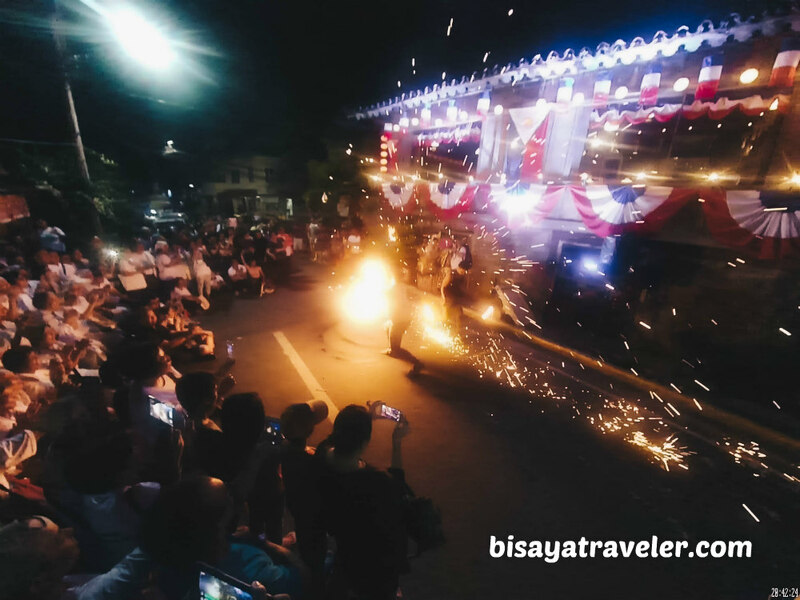 What’s more, scents of some of my favorite Visayan culinary treats, like sikwate and biko, permeated the air in Cebu’s streets during this one-of-a-kind event. 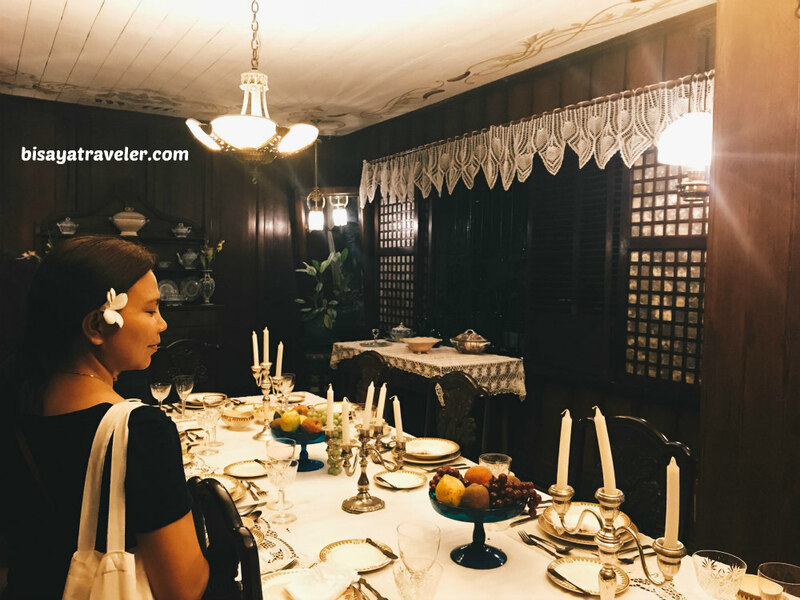 With its tantalizing blend of sights, smells and sounds, our Gabii Sa Kabilin escapade exuded an aura of Cebu’s glorious past. Yet, somehow, there was something a little off about it. As I wandered around the streets of Cebu, I heard the sounds of raindrops and a little girl chuckling in the background. Then, I opened my eyes, and realized that it was just a dream. Yikes! Truth be told, I was actually having second thoughts about attending this year’s Gabii Sa Kabilin event. With the seemingly endless rain and floods in my barangay, it was seemed to be a recipe for disaster. Even with all the stumbling blocks, I decided to push through with my plans to experience Gabii Sa Kabilin Balangay. So, I walked in the rain, and tiptoed in Punta Princesa’s flooded streets, to catch a ride to downtown Cebu. And, thank goodness, I didn’t have a hard time finding a jeepney to Colon, Cebu. 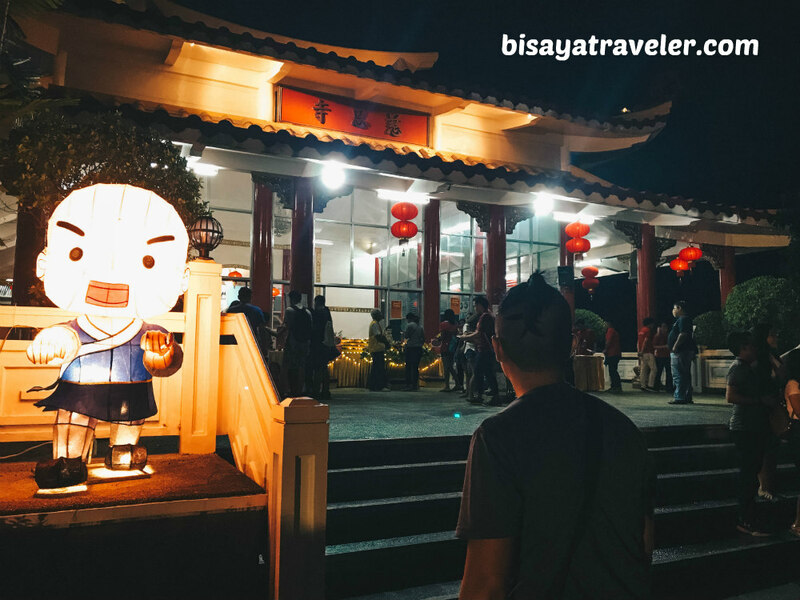 Minutes later, I arrived at my wife’s office, ate dinner early, and made our way to our first stop of the night – Fort San Pedro. And, that’s where our Gabii Sa Kabilin adventure began! I can’t think of a better place to kick off our Gabii Sa Kabilin escapade than Fort San Pedro. 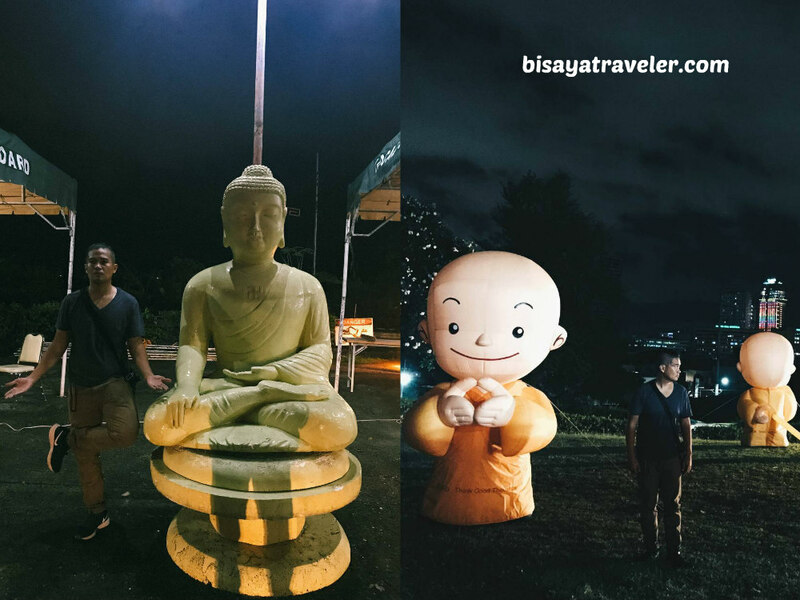 Remember, it’s by far one of the most beloved and famous historic landmarks in Cebu. 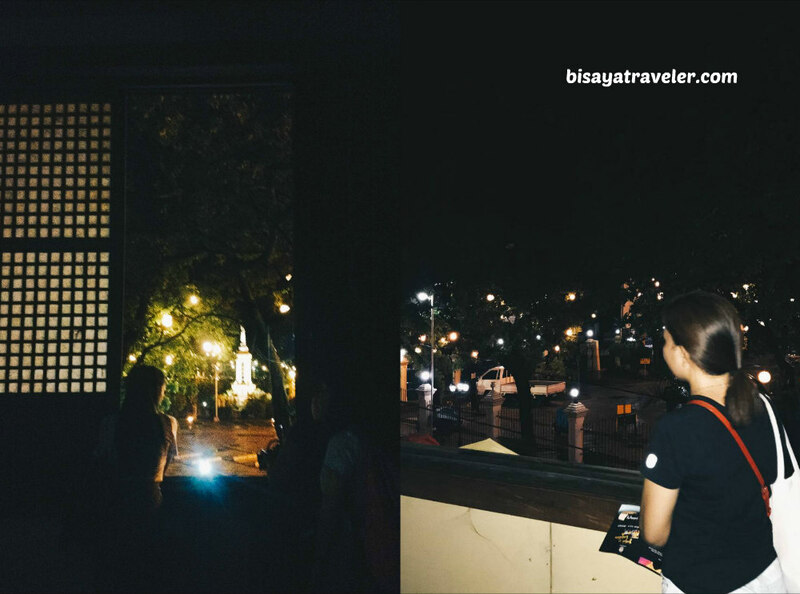 And besides, it has the perfect location, to start a DIY walking tour of Cebu heritage sites. 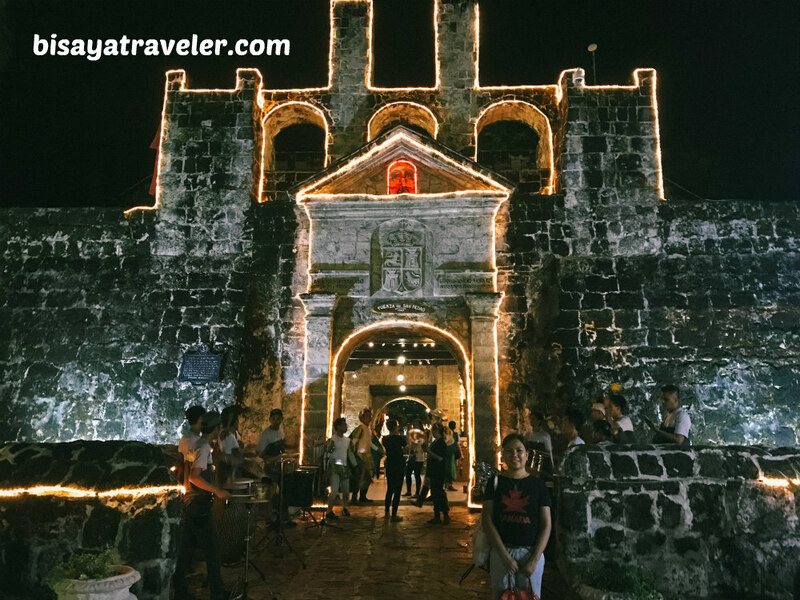 Upon our arrival at Fort San Pedro, we were warmly greeted by a bunch of exuberant guides, beautifully dressed in Spanish conquistador costumes. And, they were rather helpful too, giving us suggestions on how to start our tour. 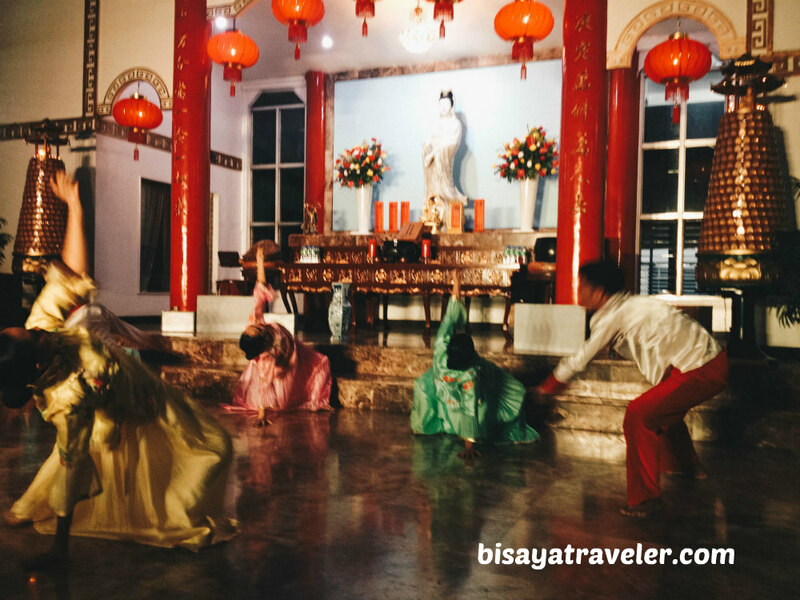 With the guide’s recommendations, we sat down, and watch a dance performance highlighting the balangay heritage of the Visayas. Afterwards, we explored the historic site, checking out its galleries and exhibits. 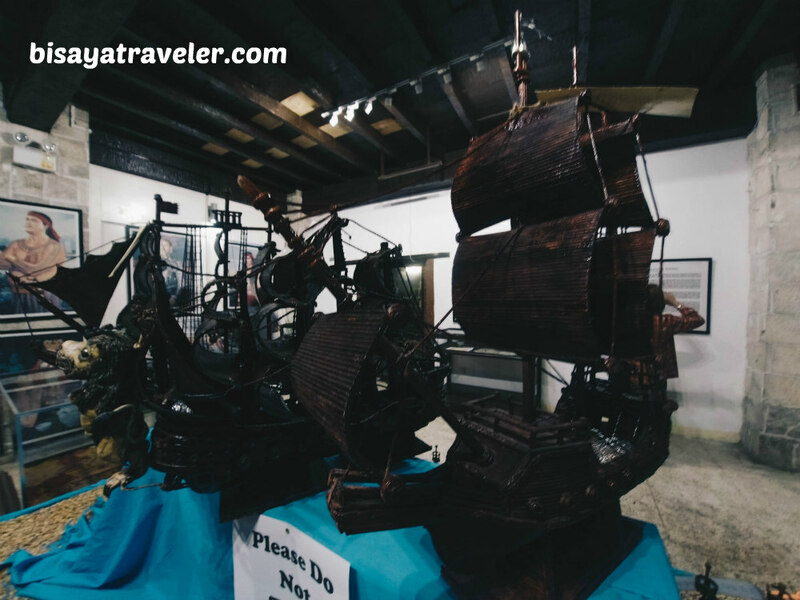 There were plenty of eye-opening and intriguing displays inside Fort San Pedro. My favorite one, though, is the gallery exhibiting gripping images of Cebu’s yesteryears. It’s such a pleasant experience to see how a booming metropolis evolved through pictures! 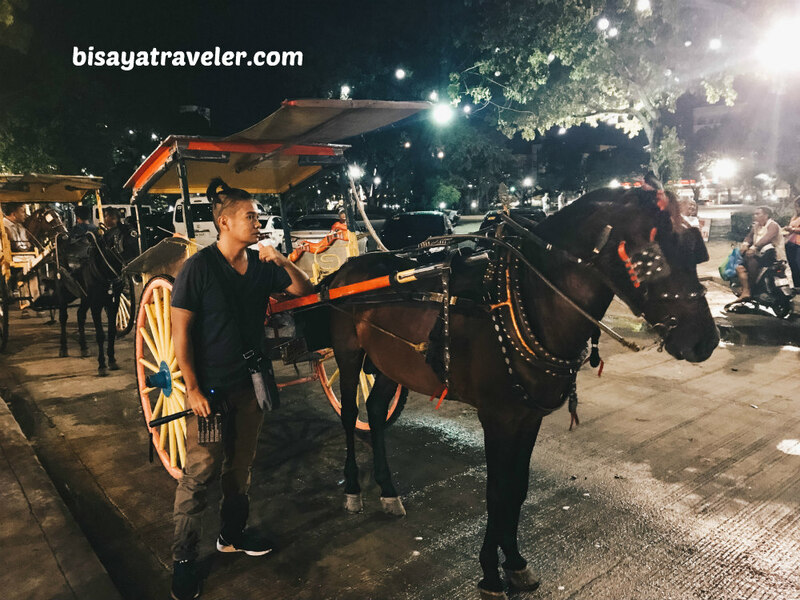 To keep things rolling, we hopped on one of the quintessential experiences of every Gabii Sa Kabilin event – the kalesa or tartanilla ride. And, it was a sweet throwback experience, for me. In some ways, it reminds me of my elementary days, when my mom operated a clinic and pharmacy in Taboan. Back then, tartanillas were an integral part of Cebu’s transportation system. 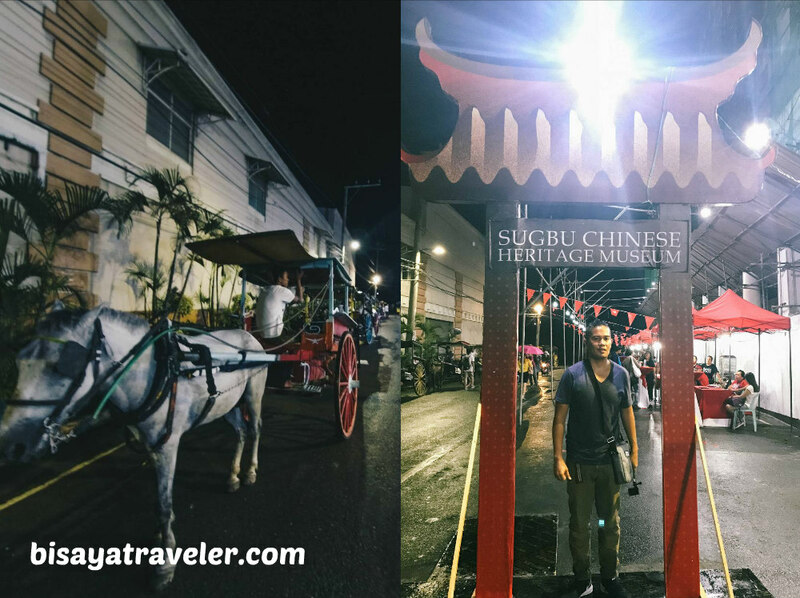 Thanks to a quick tartanilla ride, we arrived at our 2nd stop for the night – Sugbo Chinese Heritage Museum. There, we took a couple of snaps, and browsed the vendor stalls selling affordable Chinese-influenced food, such as siopao and siomai, which has been infused to Cebu’s culinary culture. Since the museum was still in the midst of a renovation, we didn’t spend a ton of time there, and walked our way to the next destination of our urban adventure. 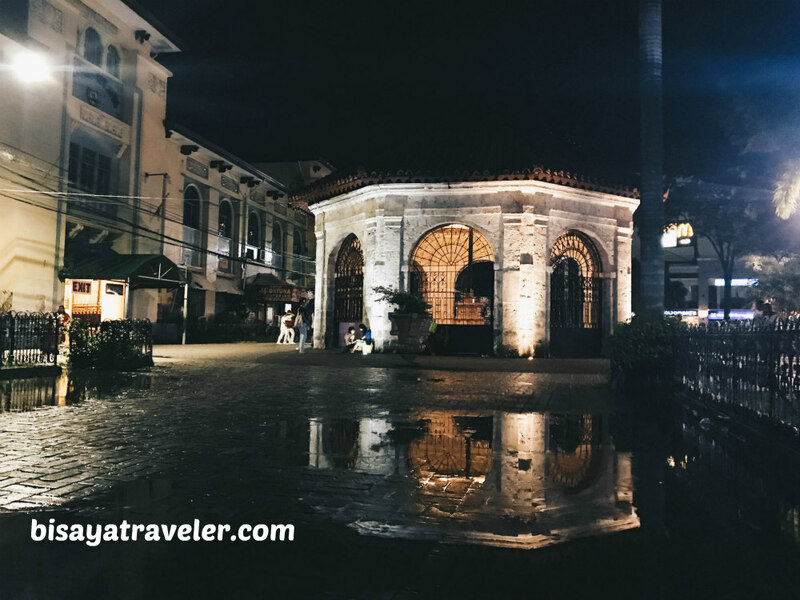 On our way to our next destination, we caught sight of the iconic Magellan’s Cross looking dazzlingly at night. 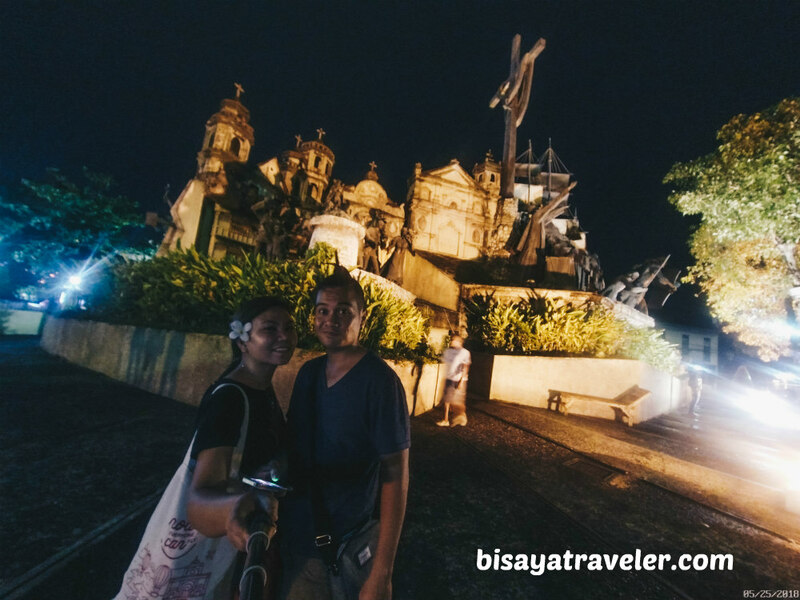 Soon after, we stepped inside the historic Basilica, to move on with our Cebu DIY heritage tour. 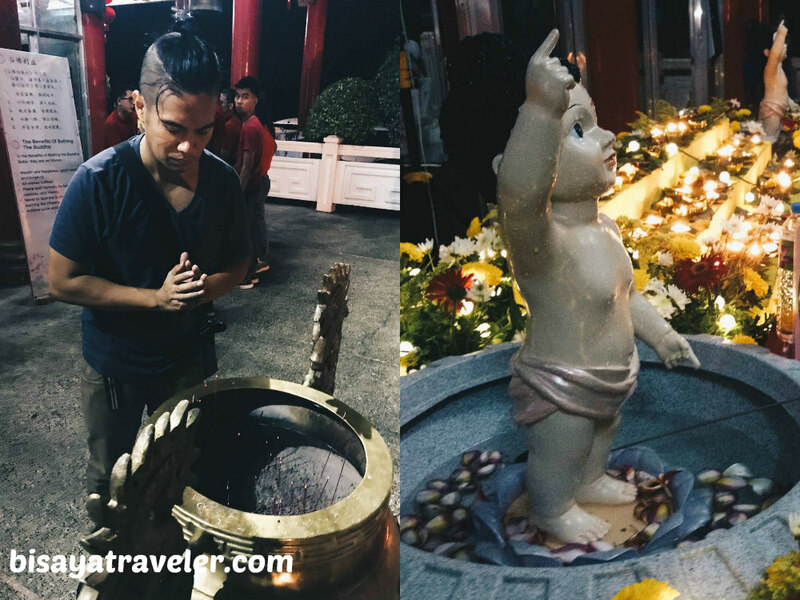 And, like most Cebuanos, it’s our tradition to light up a few candles, and say a prayer, whenever we visit Basilica del Santo Niño. Just like our tartanilla ride, it also brought some beautiful memories of the good old days. 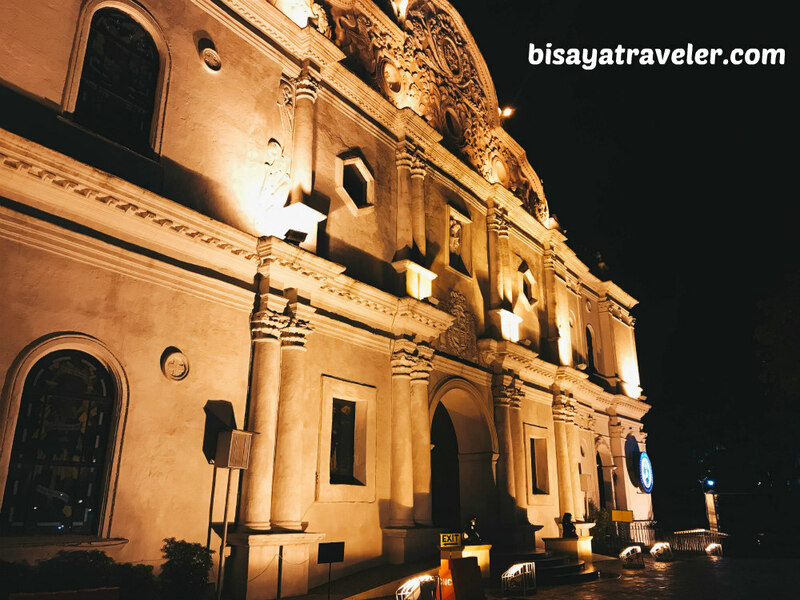 Pumped up and inspired, we, later on, went inside Basilica Minore del Santo Niño museum, and were awestruck by its fabulous collection of relics. The last time I was here, I was too young and dumb to appreciate the value and beauty of their exhibits. This time, I took a great deal of time, to soak up the religious significance and splendor of the museum’s displays. And, I’m definitely glad that we included it on our Gabii Sa Kabilin itinerary because it was simply glorious. Before entering Archdiocesan Museum of Cebu, we took a short break at Cebu Metropolitan Cathedral. Even though there were no plays or exhibits here, we felt like it was an important stop for us a couple. After all, it is where we tied the knot over a year ago. And that means visiting the cathedral would add a sense of nostalgia and romance to our Gabii Sa Kabilin Balangay experience. 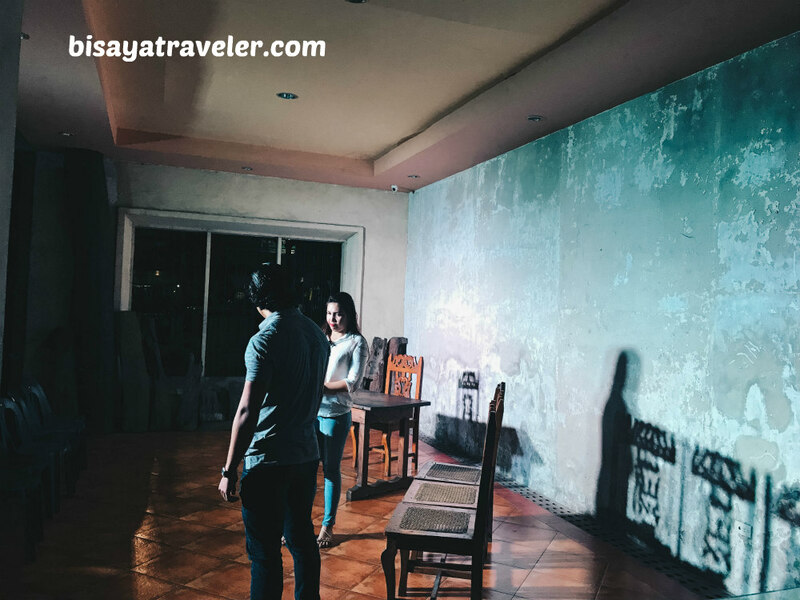 We, then, arrived at Archdiocesan Museum of Cebu, and were amazed by its beguiling play. We didn’t get the whole story, but we nevertheless were captivated by its witty and funny “hugot’ Cebuano lines. Soon after, we hit the stairs and got treated to an insightful tour of the museum. Spearheaded by a funny and clever guide, we went on a short yet meaningful tour that featured the history of Christianity in Cebu. 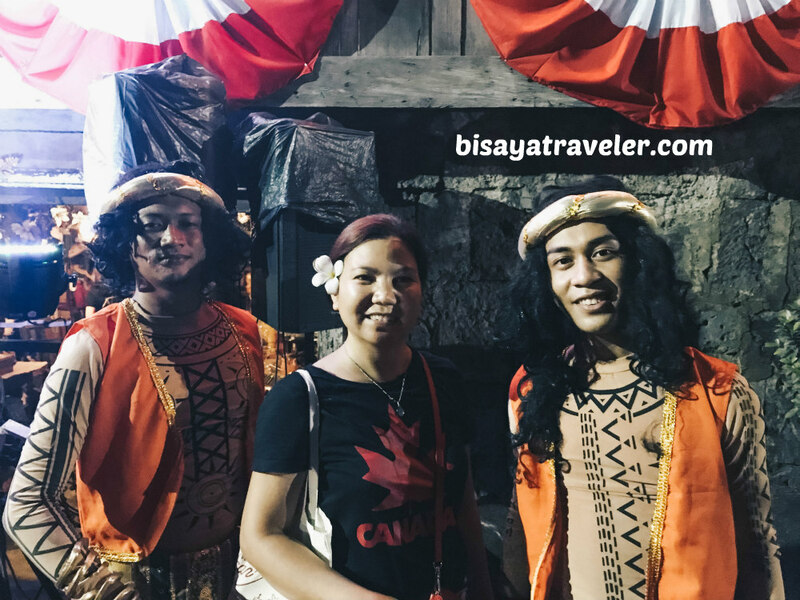 As a history lover, it was a great way to learn more about the country’s predominant religion and the birthplace of Christianity in the Philippines – Cebu. And, surprisingly, there were non-Christians who were passionately listening to every word our guide said. Moreover, there were a lot of foreigners there as well, cherishing the atmosphere and enjoying the stories about the museum. That’s the beauty of Gabii Sa Kabilin – it brings together people from all regions and religions. 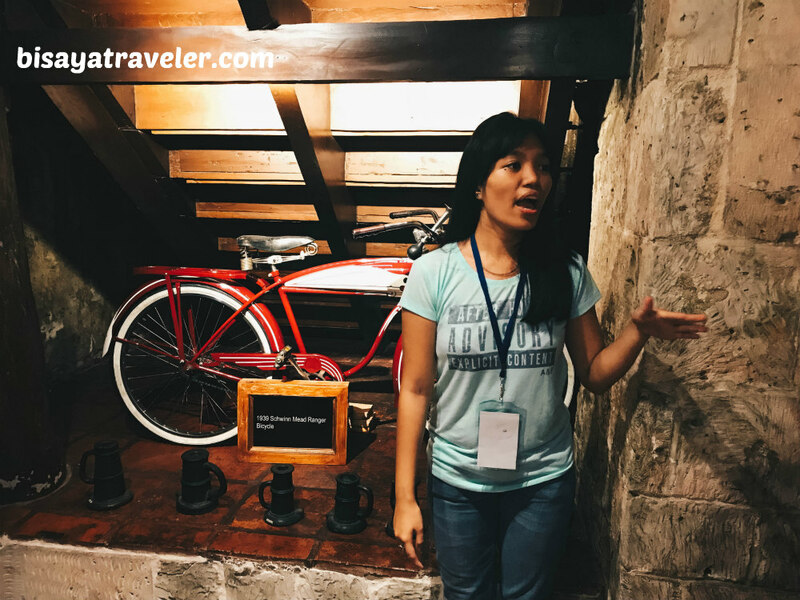 With our visit to the Archdiocesan Museum of Cebu in the books, we headed straight to the nearest Gabii Sa Kabilin destination – USP Foundation Rizaliana Museum. Sadly, though, the queue was long, and we still had several stops left in our itinerary. As much as I want to visit the museum (and learn more about our national hero), we had to move on and maintain our pace. A short stroll later, we arrived at Plaza Parian. To our delight, we were enthralled by a vibrant Sinulog dance performance outside the rustic Yap-Sandiego Ancestral House. And though we’ve heard it like a million times, the beats of Sinulog never get old. Additionally, there was a fire dance show that really got the crowd going and excited. As I was watching the show, I realized that my Gabii Sa Kabilin experience was way more fun than the one I dreamed of earlier. And, I’m really glad that I went there, even with the heavy downpours earlier. Once the presentation was over, Mrs. Bisaya Traveler approached the dancers, for a quick photo op. Of course, no Gabii Sa Kabilin experience is complete without a visit to the towering Cebu Heritage Monument. Eventually, we took a short breather at the nearby dining area nearby and watch a short film depicting the realities of rural life in Cebu. As for the film, it was great! I did enjoy the storyline and touches that were somehow related to the event’s theme. With midnight less than 3 hours away, we were compelled to cut short our break, and head to the next destination. 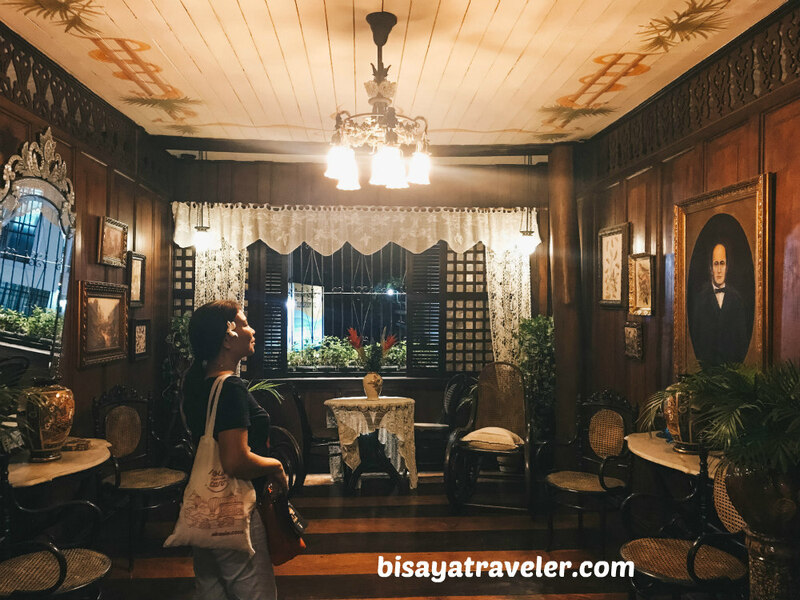 Casa Gorordo Museum – one of my favorite treasure troves in Cebu – didn’t disappoint me. Not only did it feature Instagram-worthy vintage exhibits, but it also has an old world vibe to it. Plus, the museum hosted a variety of shows celebrating the culture and heritage of Cebu. Even though it was my second time visiting the museum, I was still amazed by its interior and overall feel. After exploring the gems of the museum, we went outside, to enjoy a snack, and take a photograph of its well-preserved exterior. On our way to our next stop, I bumped into one of my pals from Team Bang Cebu – Francis Paul. I’m glad there are events like Gabii Sa Kabilin in Cebu since they give you a chance to see some of your friends whom you haven’t seen in a while. We, ultimately, left Casa Gorordo Museum, and walked all the way to Jose R. Gullas Halad Museum, to catch a bus to Fo Guang Shan Chu Un Temple. 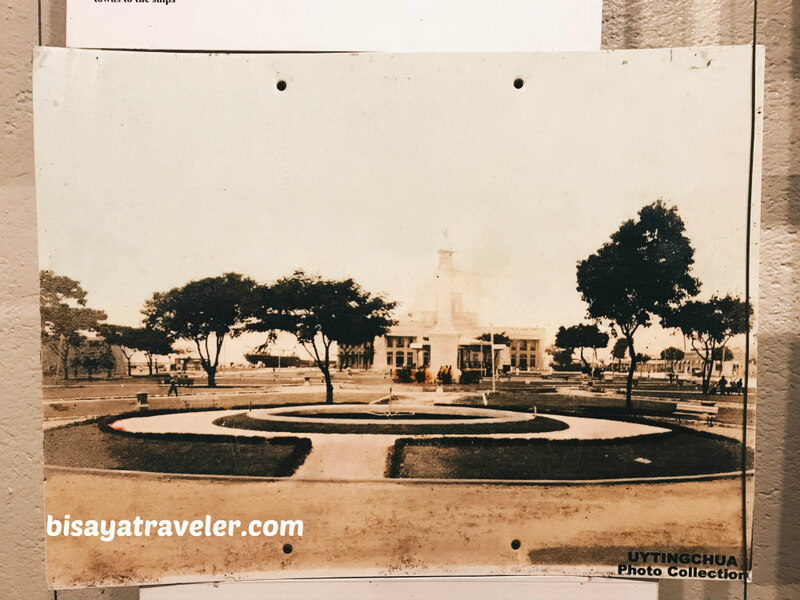 There was no direct bus route to the temple, meaning we had to drop by Fuente Circle and walk to Cebu City Museum to catch a ride to our last stop. As far as I’m concerned, it was a fun experience. The bus rides were both cushy and had a friendly and youthful ambiance. Everyone was just upbeat and having fun! The moment we set foot on Fo Guang Shan Chu Temple, we were both enthralled by the angelic voices of their performers. With passion and great enthusiasm, their performers wowed us with their hair-raising rendition of the hit, “This is Me” from the film, “The Greatest Showman”. What’s more, energy inside the hall was electric, with spectators singing along and clapping their hands joyfully. I must say it was quite a remarkable moment on our Gabii Sa Kabilin experience. Unfortunately for us, it was the last part of their performance. But on the bright side, there was one final performance available later that night. 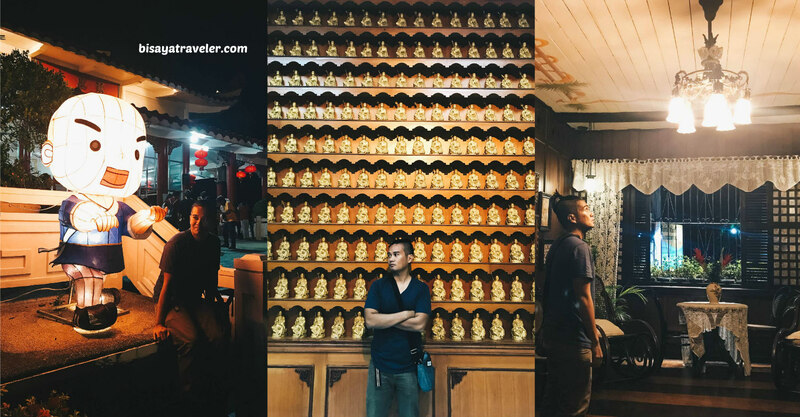 While waiting for the next show, we wandered around the temple, to snap pictures of its elaborate architecture and features. 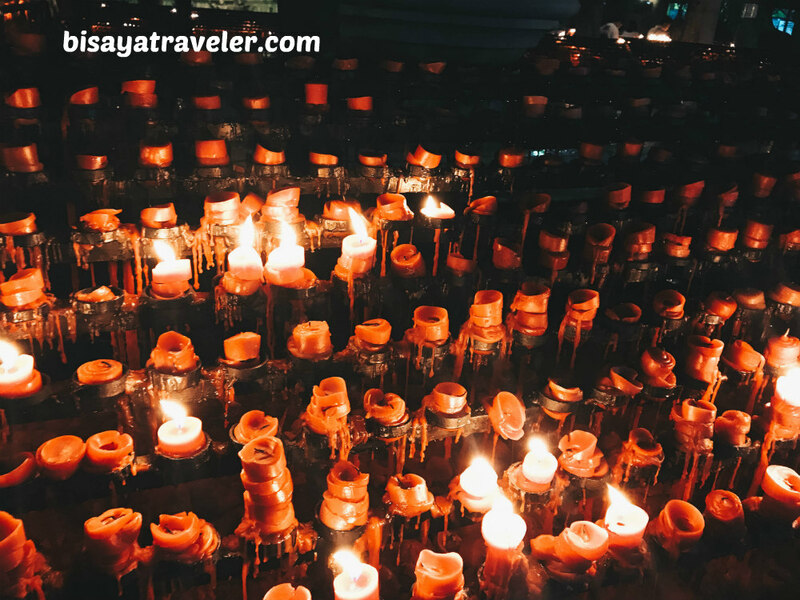 Likewise, we tried the other fascinating activities within the temple, like light offering and Buddha bathing, which, according to the guides, can bring good luck and fortune. Soon after, the final performance started, and we made our way to the front, to get an up close look of the show. And, I really like how the show highlighted how the Cebuanos blend harmoniously with the Chinese community on our humble island. From the get-go, the show was an absolute blast, dazzling and entertaining us with their acrobatics and heavenly voices. Clearly, I’m no expert, when it comes to plays and acapella shows. Even so, I was extremely impressed and pleased with this cultural performance. It’s, hands down, one of the best performances I’ve seen, thus far, on a Gabii Sa Kabilin event. With the fascinating show in the books, we took a quick tour around the temple. As we were making our way to a shrine within the temple, I caught a glimpse of a bunch of familiar faces – my other comrades from Team Bang Cebu. I guess Gabii Sa Kabilin is truly a walk down memory lane. As far as I can remember, I haven’t seen Gelique, Predu, Lieve, JP and Sheng for around 6 months. And, to me, it was a wholeheartedly nice moment to finally see them, once again, after a long while. 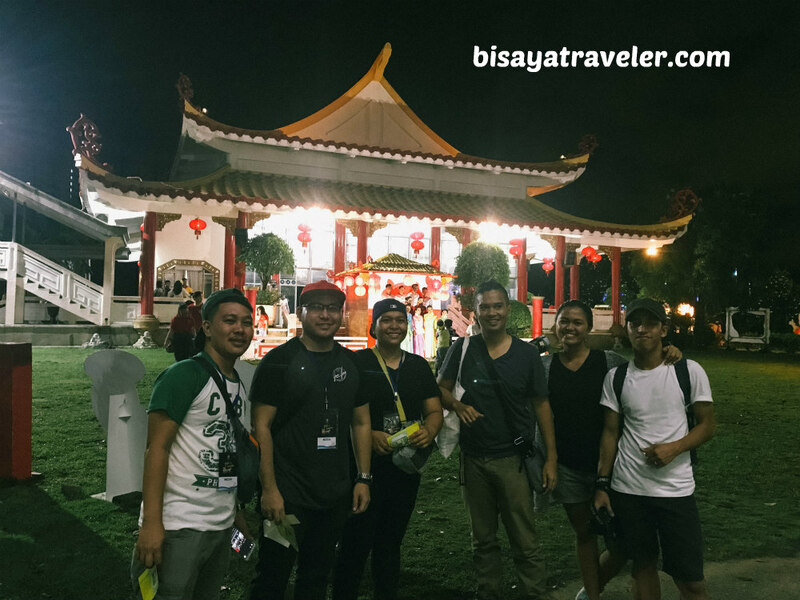 After splitting up, my wife and I checked out the other wondrous decors of Fo Guang Shan Chu Temple, to cap off our Gabii Sa Kabilin experience on a high note. We, then, bid farewell to the temple, and went home with a chock-full of vintage snaps and big grins on our faces. Wear a comfortable pair of sneakers, as you’ll be walking a lot. Pack your travel essentials, like a first aid kit, water, snacks, extra cash, camera, tripod and watch or any time device. Each Gabii Sa Kabilin ticket comes with an itinerary and map. So, before your make your way to your first destination, make a plan, and create a list of the places you want to visit. Take note, unless you’re “The Flash”, you can visit all these places in 6 hours or less. Enjoy all the cultural and music presentations. Trust me, they will add more life and color to your Gabii Sa Kabilin experience. Sample the mouthwatering street food and snacks sold by the vendors participating in the event. Join the guided tours inside the museums. 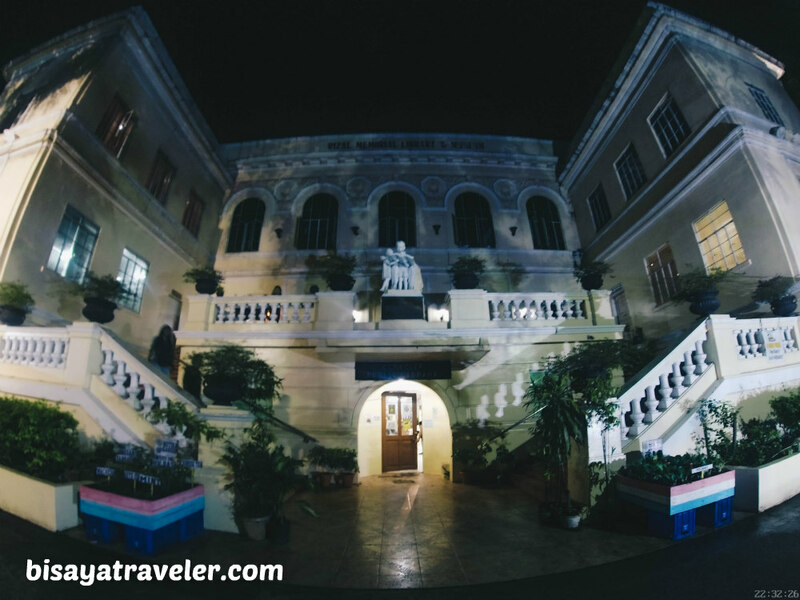 They are full of intriguing information that will give you a deeper insight of Cebu’s heritage. Don’t rush. Take time to savor the moments of your Gabii Sa Kabilin escapade. Don’t touch the exhibits and relics. Practice the LEAVE NO Trance principles. Tickets can be bought at the participating sites and museums. Follow the Gabii Sa Kabilin Facebook page for updates about the event. All in all, our Gabii Sa Kabilin Balangay experience was nothing short of amazing. 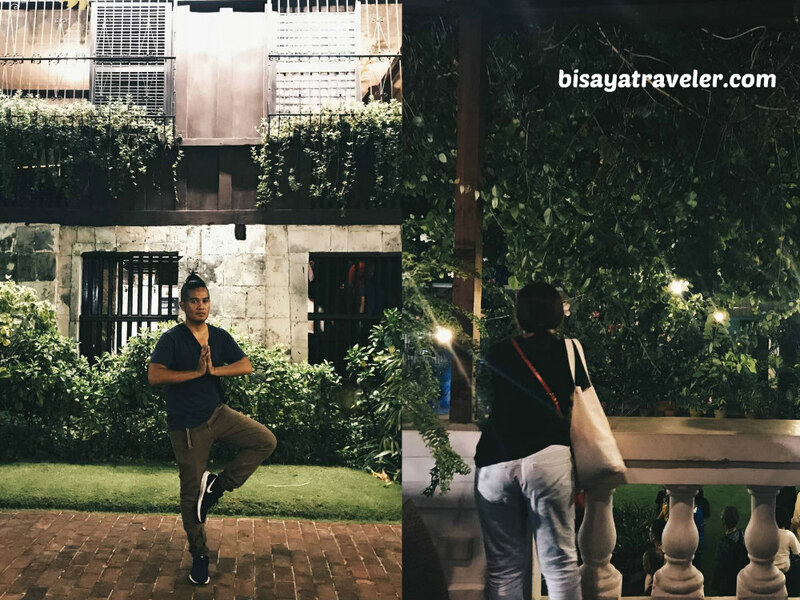 Even with the intermittent rain and floods, we both had a swell time, exploring the cultural treasures and heritage sites of Cebu at night. Besides showcasing the beautiful heritage and balangay culture of Cebu, it also brought together people from all ages, religions and races. And more importantly, Gabii Sa Kabilin Balangay gave us a ton of valuable history lessons that can be applied to our modern-day life. As most great wise men say, “people without the knowledge of their past history, culture and origins are like trees without roots”. 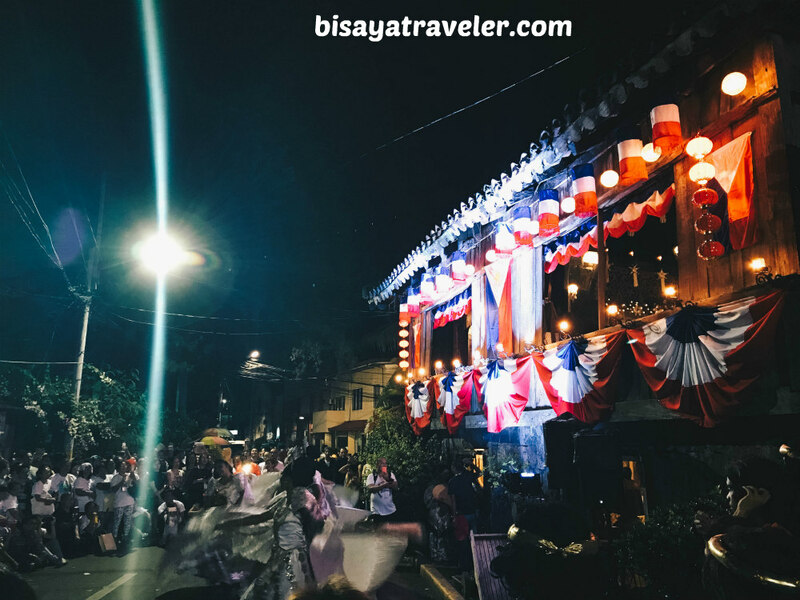 And, with an array of scintillating performances and a festive atmosphere, my Gabii Sa Kabilin Balangay experience was indeed more than a just stroll to Cebu’s beautiful past. Kudos to everyone who made Gabii Sa Kabilin Balangay a successful and memorable event! See you next year, guys!